On Friday afternoon, WBA welterweight champion Keith “One Time” Thurman (28-0, 22 KO’s) and contender Josesito “Riverside Rocky” Lopez (36-7, 19 KO’s) weighed in ahead of their fight. Thurman will face Lopez inside of the Barclays Center in Brooklyn, New York and the match will air live on FOX. This fight marks the end of what will be nearly a two-year layoff for Thurman, who last saw action in March of 2017 when he won a unanimous decision over former champion Danny Garcia. 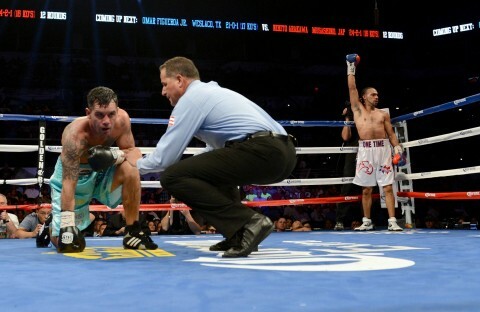 Lopez isn’t to be taken lightly, as he has been in the ring with the likes of Canelo Alvarez, Marcos Maidana, Andre Berto, and Jessie Vargas, while holding victories over Victor Ortiz and Mike Dallas Jr. 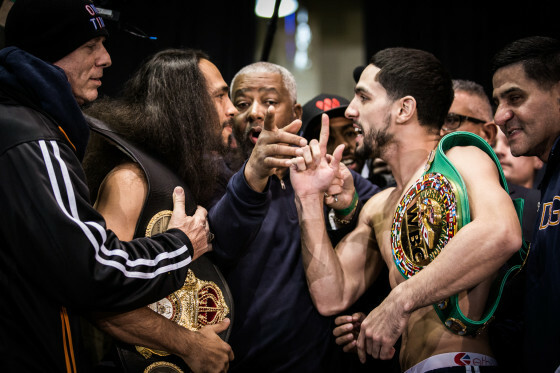 Earlier today, in Brooklyn, New York, Keith “One Time” Thurman and Danny “Swift’ Garcia weighed in ahead of their welterweight unification matchup, set for the Barclays Center on Saturday night. The showdown between Thurman (27-0, 22 KO’s), the WBA welterweight champion of the world, and Garcia (33-0, 19 KO’s), the division’s WBC champion, will air on CBS as part of a Premier Boxing Champions telecast. As both men hit the scale at Friday’s Official Weigh-In, Thurman came in weighing 146 1/4 while Garcia was 146 1/2 pounds. At the face-off, the two men had to be separated. 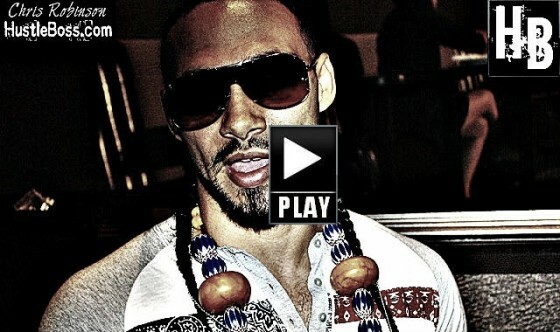 Keith “One Time” Thurman is a few days away from a potentially-career defining fight. Thurman (27-0, 22 KO’s), the WBA welterweight champion of the world, will face off with WBC champion Danny “Swift” Garcia (33-0, 19 KO’s) inside of the Barclays Center in Brooklyn, New York. The matchup, set to air on SHOWTIME, is one of the best fights in the sport to make and will go a long way to determining who is the best in the sport at 147 pounds. We are a few mere hours away from the big Adrien Broner vs. Shawn Porter fight, set for the MGM Grand in Las Vegas, Nevada. In the evening’s main event, Broner (30-1, 22 KO’s), by way of Cincinatti, Oh., will tangle with Akron’s Porter (25-1-1, 16 KO’s) in an NBC-televised affair set as part of the “Premier Boxing Champions” wave of telecasts that have been sweeping the airwaves. 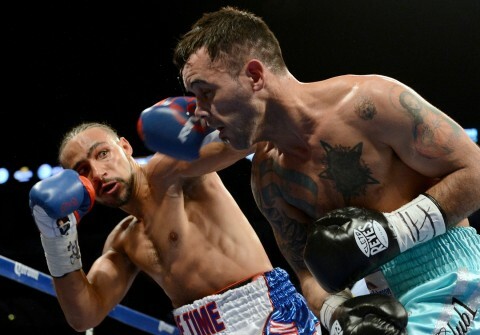 On Saturday night, March 7, interim WBA welterweight champion Keith “One Time” Thurman defeated former multi-division world champion Robert “The Ghost” Guerrero over 12 entertaining rounds on the inaugural version of NBC’s “Premier Boxing Champions”. 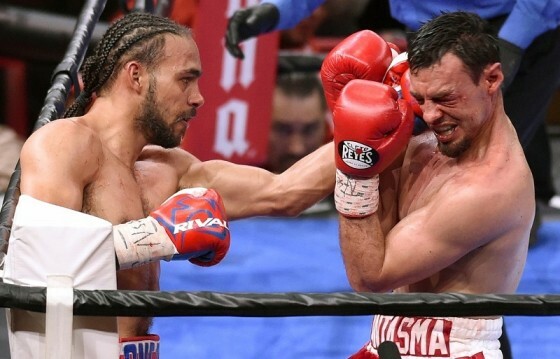 From the outset of the match, it was apparent that Thurman’s speed and power was going to be a big factor, as he was able to establish an early edge over southpaw foe. Guerrero remained patient and kept pressing forward, but he simply couldn’t get into enough of a groove to establish control. 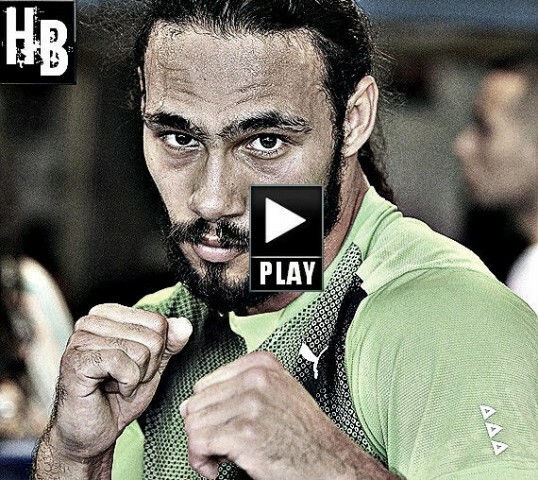 If there is anything you can spot with undefeated welterweight power puncher Keith Thurman, it’s just how brash and engaging of a character he is. 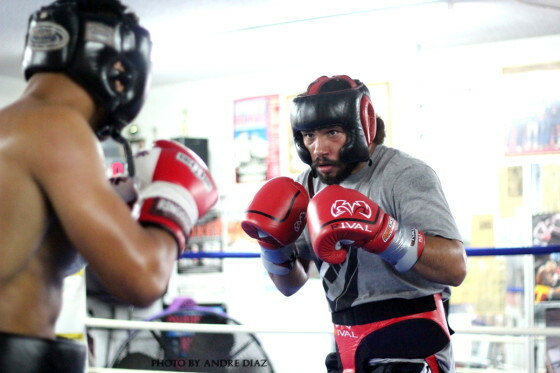 Thurman meets up with Italy’s Leonard Bundu on Saturday night from the MGM Grand in Las Vegas in a Showtime-televised tripleheader that will see him attempt to defend his interim WBA welterweight belt. The fight takes place on the Amir Khan vs. Devon Alexander undercard. 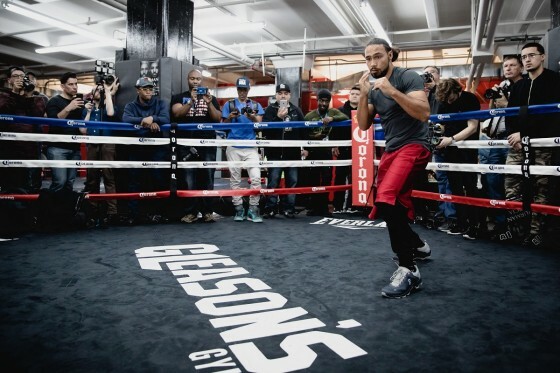 Interim WBA welterweight champion Keith ‘One Time’ Thurman stays sharp, getting in some sparring work while he waits on word of his next fight. 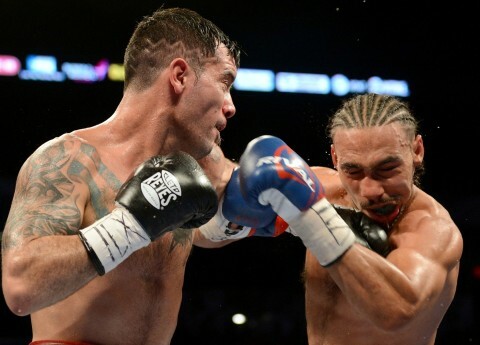 A crippling puncher with a sterling 23-0 record with 21 knockouts, Thurman last fought on April 26, stopping former two-time lightweight tilist Julio Diaz after three rounds. Thurman is one of the fastest rising stars in the sport and should be in line for some very big fights in the near future. 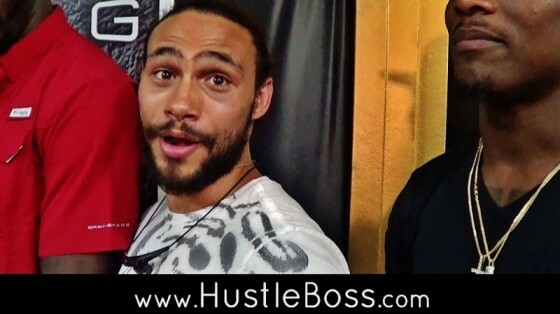 HustleBoss.com catches up with interim WBA welterweight champion Keith Thurman (23-1, 21 KO’s), as he speaks on his recent victory over former titlist Julio Diaz while eyeing future matches with Shawn Porter and Amir Khan. Photos from the StubHub Center in Carson, Calif. as interim WBA welterweight champion Keith ‘One Time’ Thurman (23-0, 21 KO’s) scores a stoppage victory over Julio Diaz as the former two-time titlist’s corner stopped the fight after the third round. Thurman dropped Diaz in the second round before matching him toe to toe in the third. Surprisingly, Diaz’s corner cited a rib injury before waiving things off. 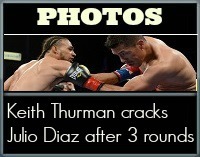 On Saturday night, inside of the AT&T Center in San Antonio, Texas, welterweight Keith Thurman made another step towards contender status in halting Argentina’s Diego Chaves in the tenth round. It wasn’t an easy task for Thurman (21-0, 19 KO’s), as Chaves (22-1, 18 KO’s) came out strong in the early rounds as a bit of firefight broke out. 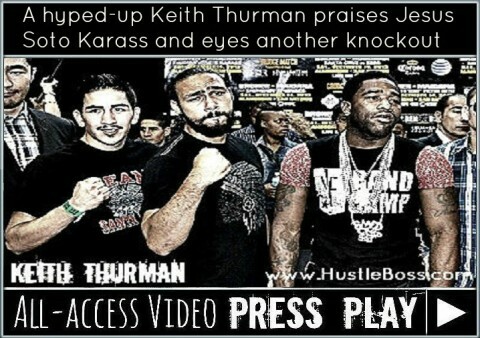 To his credit, Thurman kept his composure and slowly began building momentum. A left hook to the body would drop Chaves in the ninth and one round later an onslaught of punches would put him down for the count. 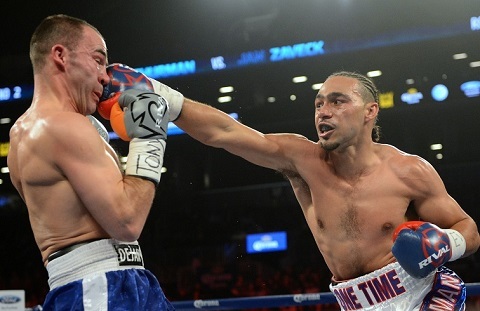 On Saturday night, inside of the Barclays Center in Brooklyn, New York, welterweight prospect Keith “One Time” Thurman kept his unbeaten record intact after pulling out a tough, 12-round decision over brave former champion Jan Zaveck. Thurman carved up Zaveck early with shots to the body and head, and looked as though he was possibly headed towards a stoppage via TKO or cuts.